Select Pioneer and Onkyo products will support Deezer HiFi | What Hi-Fi? Owners of the specific products who subscribe to the top £19.99-a-month Deezer tier will have direct access to unlimited CD-quality streaming. Pioneer and Onkyo are set to release firmware updates throughout August to add Deezer support to several of their AV receivers and audio products. An Onkyo soundbar is also being treated to the update. The upcoming firmware updates will also grant support for Deezer HiFi, which allows subscribers of the £19.99-per-month tier to stream CD-quality FLAC music files. The Deezer HiFi firmware update will roll out to Pioneer’s SX-N30AE and SX-S30DAB stereo receivers; MRX-5 and MRX-3 wireless speakers; FS-W50 and FS-W40 networked music systems; and a handful of network players (N-70AE, N-50AE, N-30AE and NC-50DAB) and network CD receivers (XC-HM86D, X-HM86D, X-HM76D and X-HM76). Naturally, support will also extend to a huge number of Pioneer’s AV receivers: the SC-LX901, SC-LX801, SC-LX701, SC-LX501, SC-LX502, VSX-LX503, VSX-LX303, VSX-LX302, VSX-1131, VSX-933, VSX-932, VSX-832, VSX-831, VSX-S520D and VSX-S520. 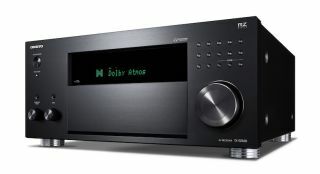 As for Onkyo, the products due the update are as follows: the R-N855 network stereo receiver; LS7200 Dolby Atmos soundbar; CR-N775 network CD receiver; NS-6170, NS-6130 and NCP-302 network players; TX-8270, TX-8250, LS5200 and TX-L20D stereo receivers; and several AV receivers (TX-RZ3100, TX-RZ1100, TX-RZ830, TX-RZ820, TX-RZ810, TX-RZ730, TX-RZ720, TX-RZ710, TX-NR686, TX-NR676E, TX-NR656, TX-NR575E, TX-NR474, HT-S9800THX and PR-RZ5100).